As president of Related Midwest, Curt R. Bailey leads a team of more than 100 talented architectural, planning and design, development, construction and professional services experts who, together, are transforming the landscape of Chicago real estate. 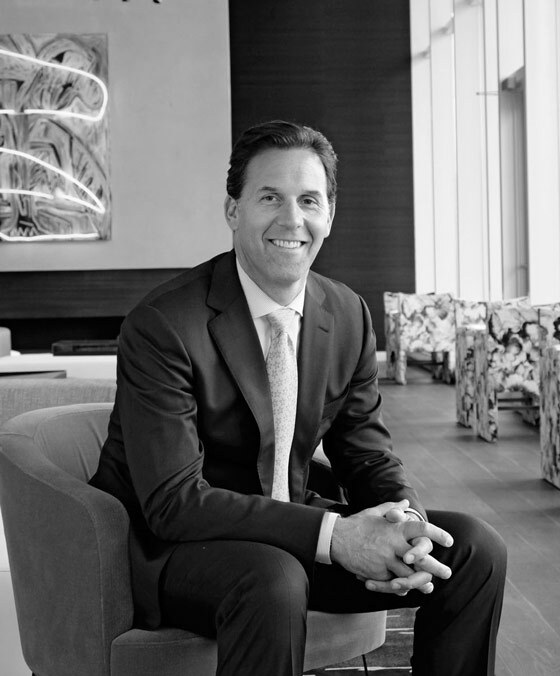 With more than 25 years of senior real estate experience, Bailey is responsible for a multibillion-dollar portfolio of residential, mixed-use, and adaptive re-use properties, including pioneering projects like 500 Lake Shore Drive and 111 W. Wacker that have redefined luxury living in downtown Chicago. In addition to managing Related Midwest’s portfolio of properties, Bailey oversees the company’s robust development pipeline, which includes the 70-story One Bennett Park, an ultra-luxury residential tower designed by Robert A.M. Stern Architects that will be the tallest all-residential building in Chicago when completed in 2019. Other projects currently in development under Bailey’s leadership include a 30-story, 300-unit luxury rental tower at 1035 W. Van Buren and 725 W. Randolph in Chicago’s West Loop; 400 N. Lake Shore Drive, located on the site of the former Chicago Spire project in South Streeterville; and a 62-acre mixed-use, master-planned community at the southwest corner of Clark Street and Roosevelt Road that will be one of the largest private real estate developments in Chicago history. With Bailey at the helm, Related Midwest has cemented its reputation as Chicago’s preeminent developer of luxury residential and best-in-class affordable housing. Bailey’s vision for Related Midwest includes building upon the company’s roots in affordable housing through the development and preservation of communities like Parkway Gardens, Marshall Field Garden Apartment Homes and the historic Julia C. Lathrop Homes – just one example of how Related Midwest is creating entirely new residential and mixed-use districts within established neighborhoods, across all categories. Bailey is an active member of several professional and charitable organizations, both locally and nationally. He is vice chair and chair-elect for the Ounce of Prevention Fund. He also serves on the University of Colorado’s CU Real Estate Center National Advisory Board and on the board of directors of the Greater North Michigan Avenue Association (GNMAA). Mr. Bailey is also a director at The French International School of Chicago. He holds a bachelor’s degree in political science from the University of Colorado, Boulder.